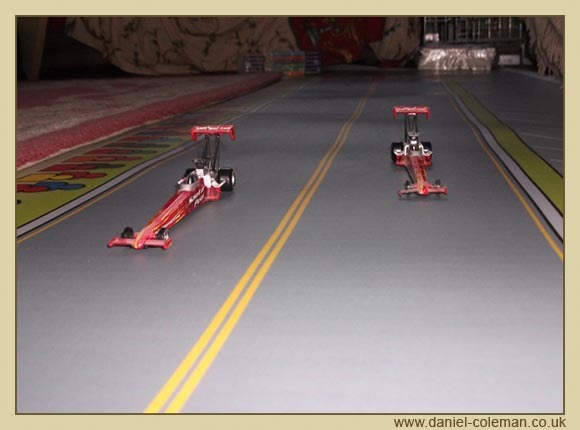 Drag racing is not as popular as it is in the USA, hence dragster type tracks and sets are few and far between in the European market. 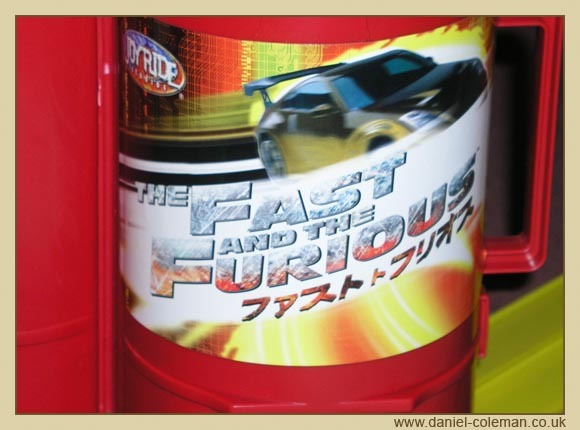 The Fast and Furious being more so due to its sprung loaded launch system so elimination style racing took place. 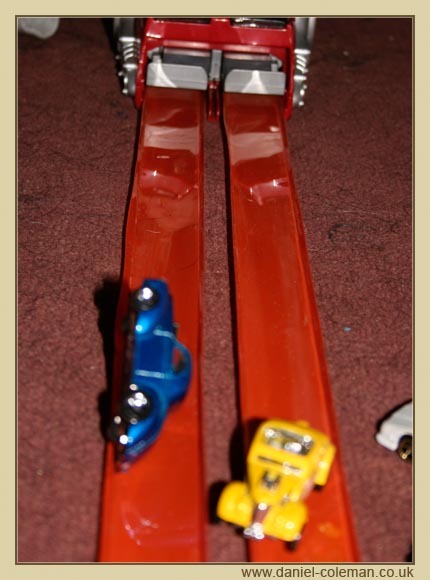 On the Small Cars page the 34 Ford Hot Rod by Maitso was one of the fastest cars on this track, but was prone to wheelies and crashing. 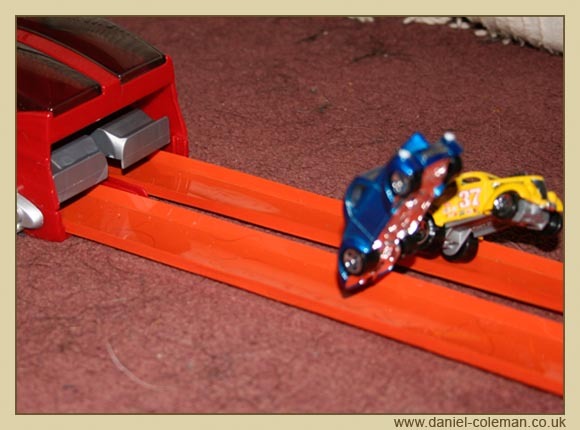 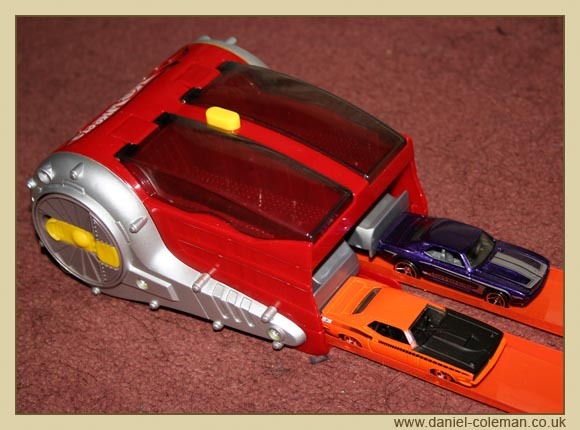 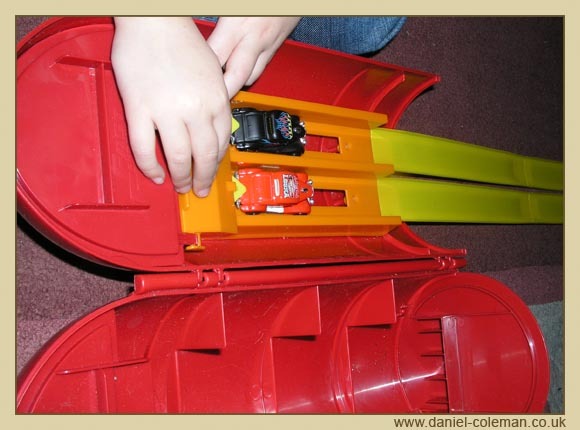 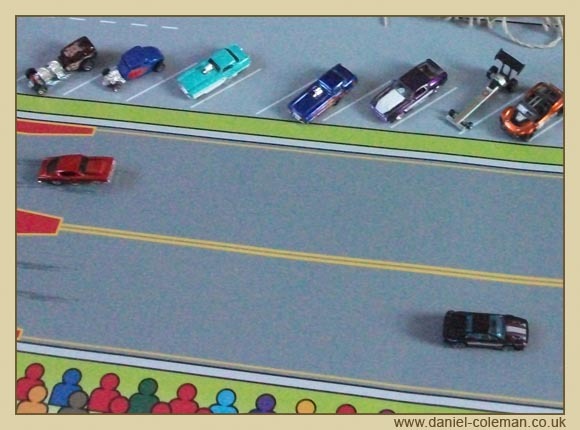 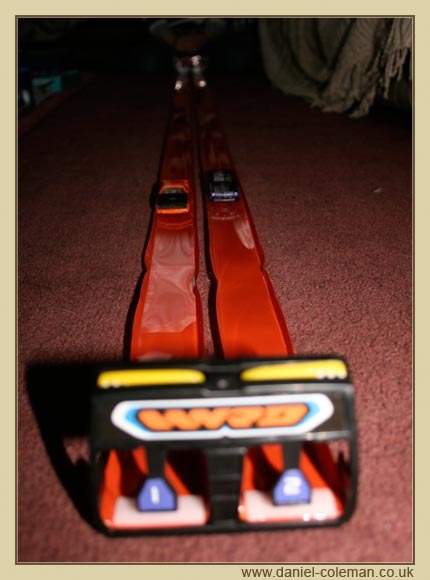 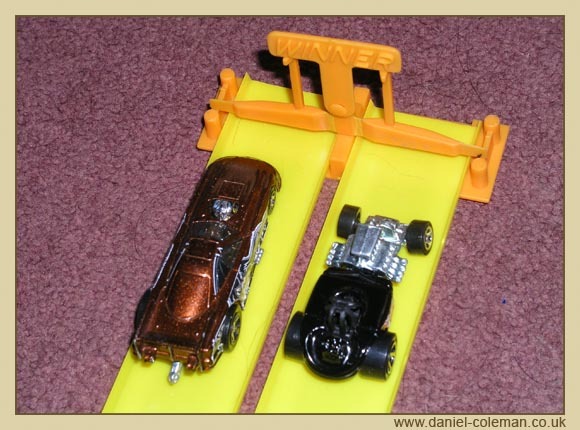 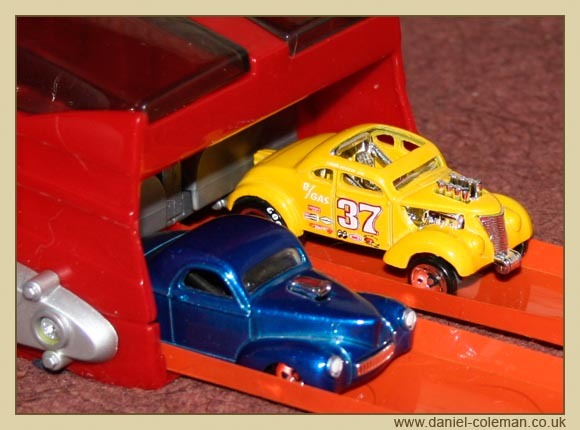 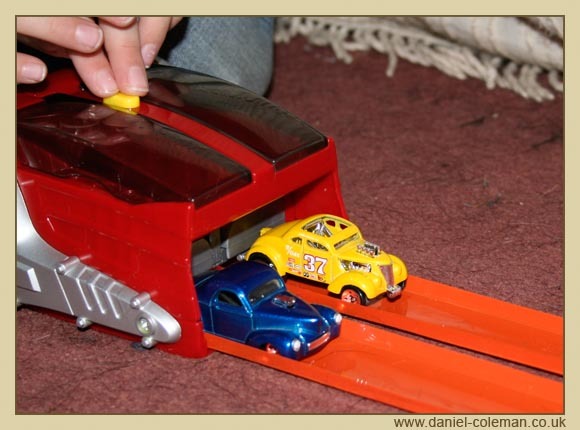 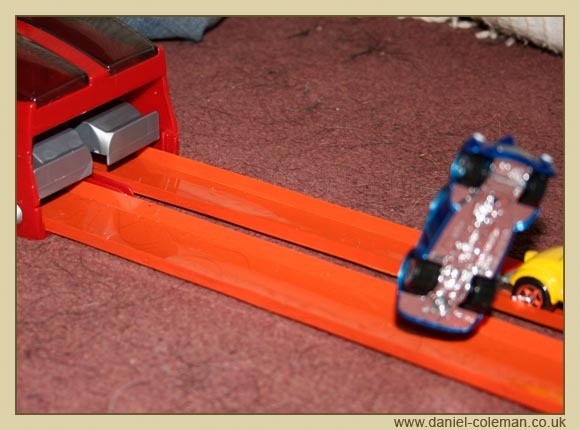 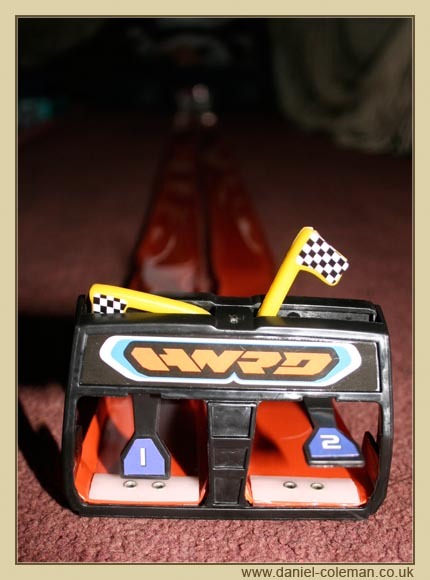 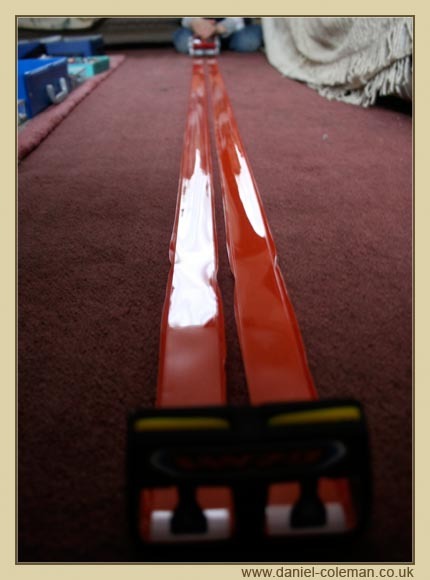 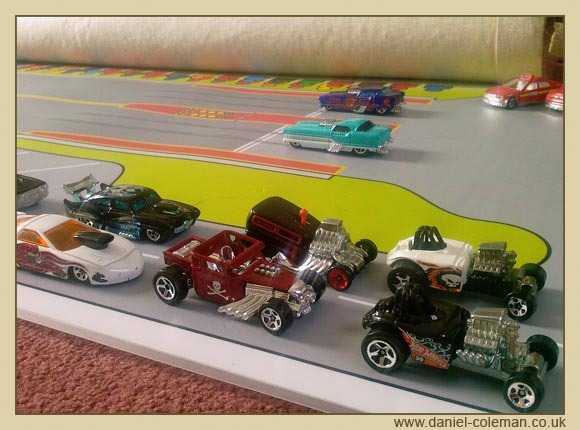 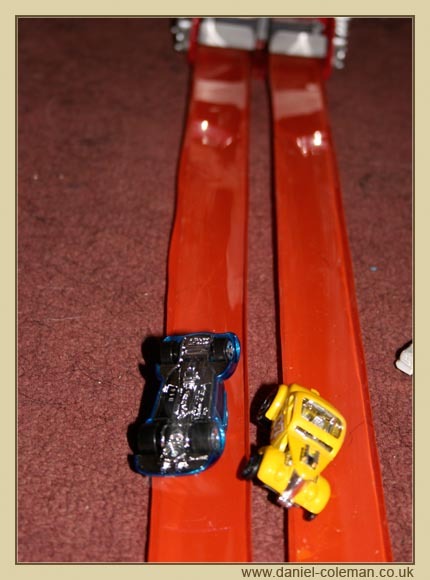 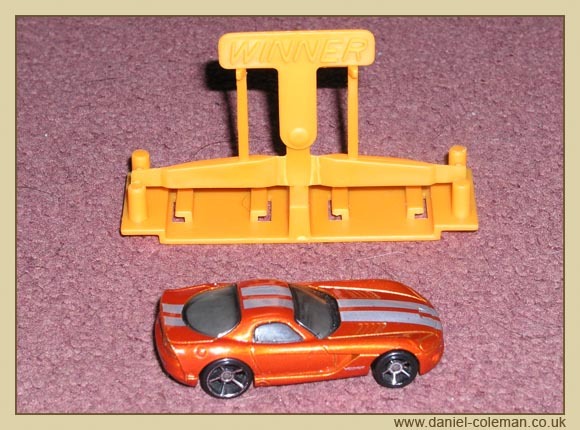 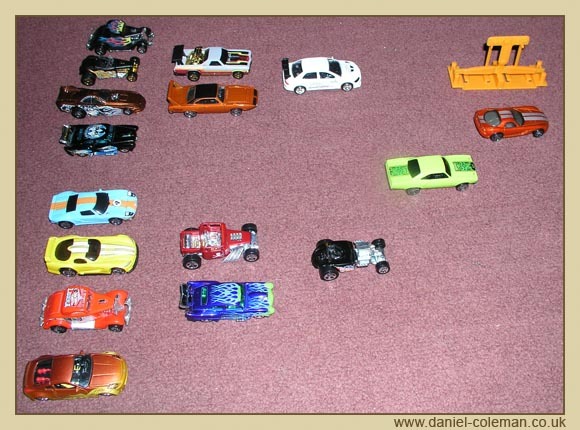 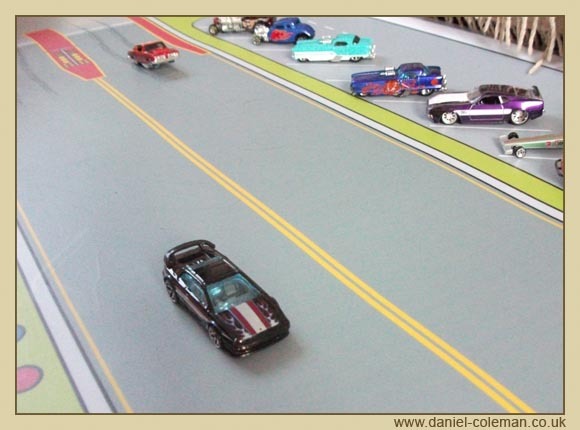 The Hot Wheels dragstrip was acquired for Christmas 2009 and had a much better finish line gantry that's not prone to errors like the Fast and Furious finish. 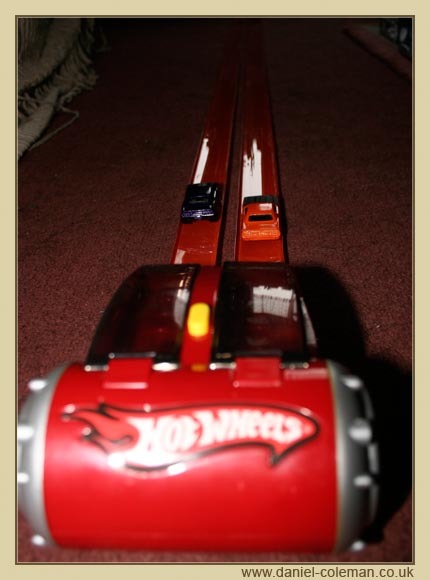 Some of the larger Hot Wheels cars that didn't fit before on F'n'F do on this one and the launches can be spectacular as can be seen from the photos. 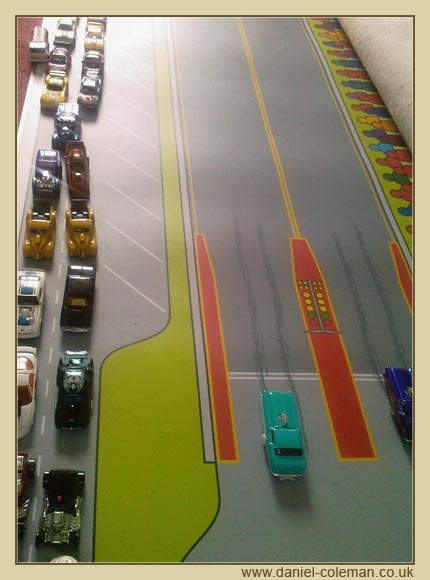 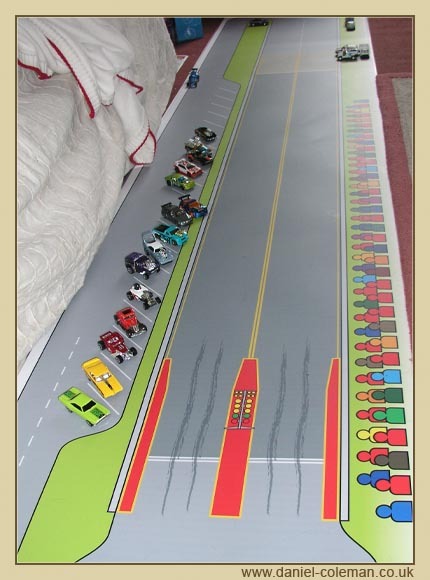 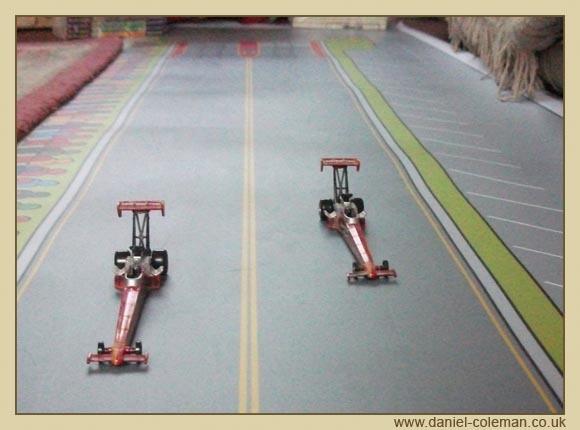 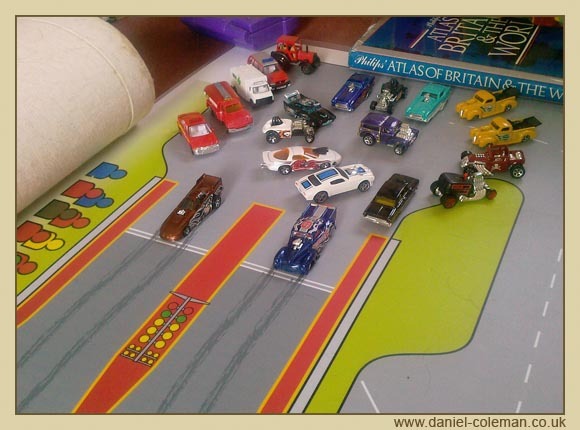 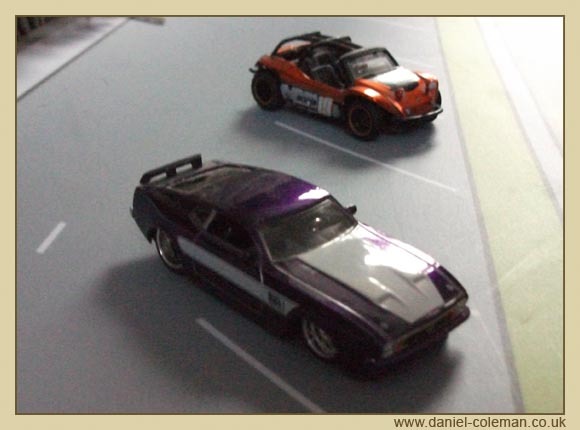 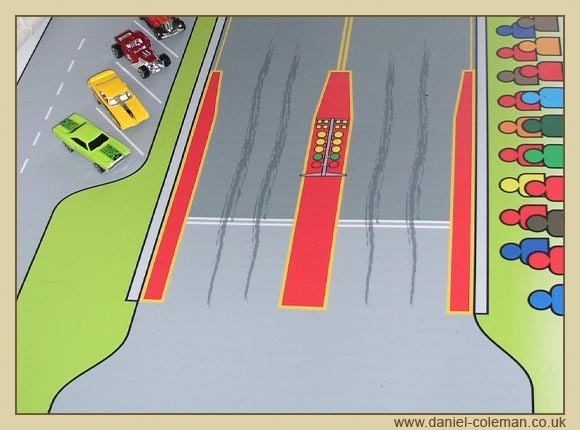 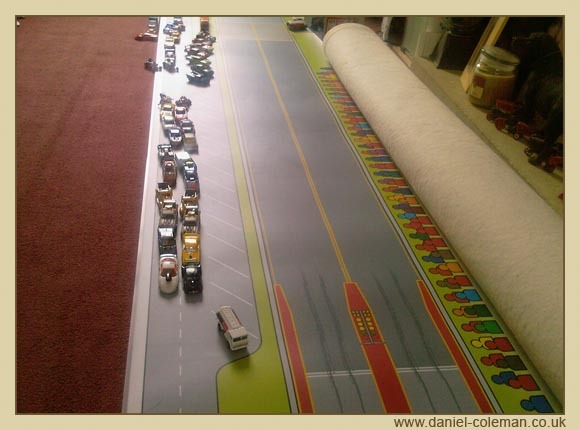 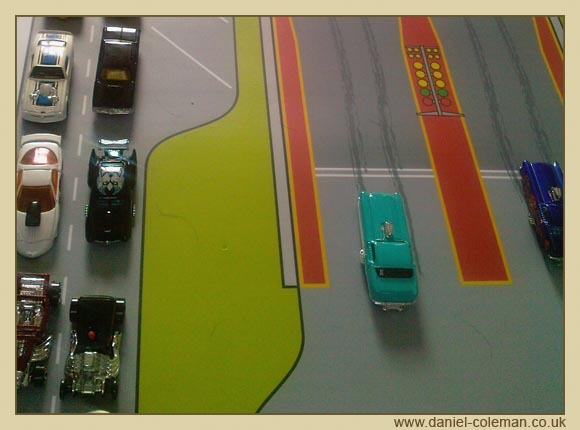 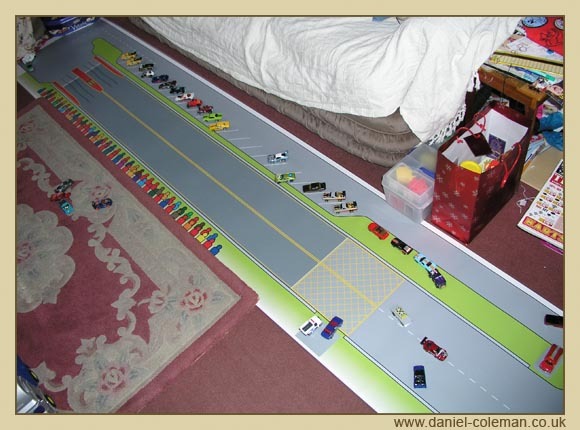 The track is very flexible due to rolling up into the main body for storage, however, the track is susceptible to kinking and creasing, All the strips suit the 1/64th scale cars, though on the homemade strip larger cars could be accommodated.